Nothing Like Everything All Tags Android Technology Why We Are Loosing Pure Test Of Android ? Ever since the Android has become popular there has been lot of customization by individual developer. But as the time passes Google tend to incorporate the changes in Android OS itself. We are here to discuss why we are loosing Pure Android Or Vanilla Android experience. Only Nexus Android devices and Motorola are providing pure android experience to users. Android is bing open source even after it has been taken over by Google. So developers are free to create an app and values added feature for they think fit. This make it easy for them to freely modify and make it more advance and customizable as per everyone comfort. On the other hand every company who are entering onto smartphone market has to cater something extra that can attract the buys. On the other hand every company want to make their brand image unique then others in the market. Hence they are developing their own UI or framework on top of Android. Every brand try and impose similar UI for their every device and provide enhanced features for their users to serve them better. Some example are like Samsung have TouchWiz UI, Xiaomi have MIUI framework, Asus have ZenUI, HTC have Sense UI, Huawei provide EMUI, OPPO have color OS, Meizu have Flyme and so on. Like this every major player on the market have their own patented UI for their users. China is also extremely large smartphone market like India. But in China is also major contributor for today's emerging custom UI concept. Since in China government has baned the direct use of Google and their services. 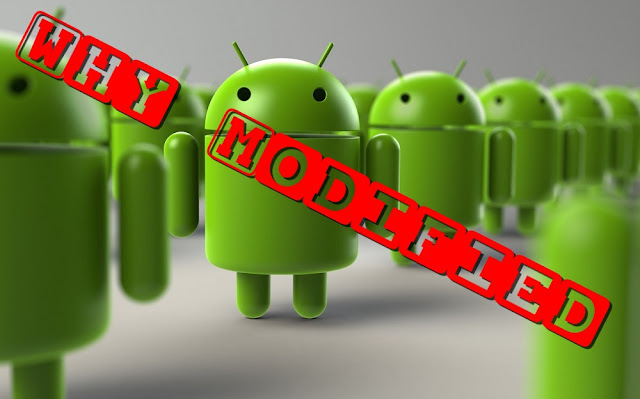 Hence to enter into China market companies are compulsorily have to modify Pure android OS. If you have noticed all Chines smartphone companies entering Indian market already have their custom framework running on top of Android OS like Meizu,Xiaomi and so on. Third party developers or communities like Cyanogenmod, Packman, AOSP are some of mainstream communities that have explored android such an extend, that they are providing hell lot of customization that allow the user to modify everything from icons to app dewar and from SIM Signal indicator to entire look and feel of android. It is obvious that no one can use the same thing for very long time. So users want change and very level of customization for device they have. Rooting was very famous solution but not all users are tech savvy so company preventing user from rooting users. Not only that but also provide them with feature that tech savvy people get from root access. So they started to provide customization as part of their UI for user satisfaction and cater them as per their comfort. So here are all reason why we are loosing Pure android or vanilla test of an Android OS. And this are the reason why devices like Nexus and Motorola are still very popular for their Android Experience. What are your thoughts on this do let us know in comments below. Thank you for reading.